13-Year-Old Rimsha Wassan's Life Was Taken By Waderas Of Sindh And Our Voices Can Bring Her Justice! A new day, same old story. One more innocent life becomes a victim of the unjust, wadera culture where women are taken as commodities and treated worst than animals. 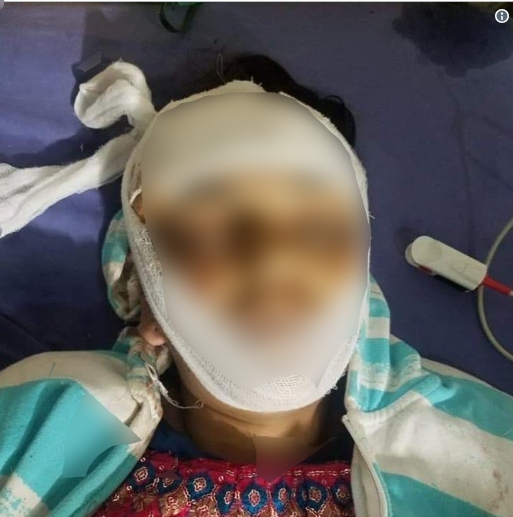 We’ve heard of several stories where girls were mistreated due to which either they try to take their lives or the society doesn’t allow them to live. No action is taken because the culprit was either unknown or mysteriously goes missing. But we recently witnessed a case where the accused person was very well known but no action was taken against him because he had political affiliations. 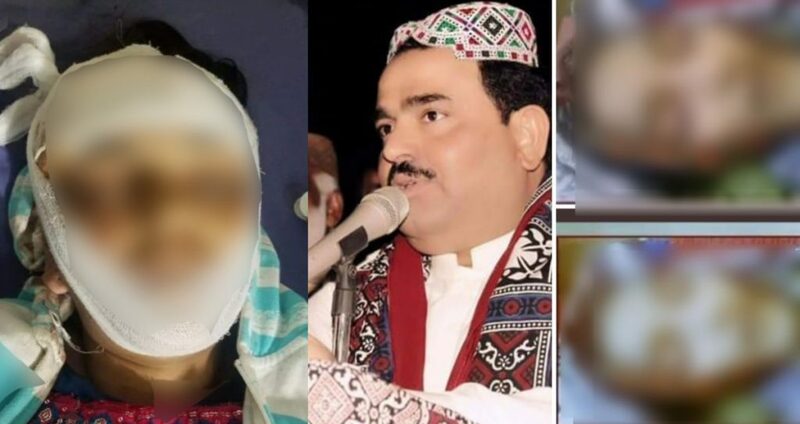 Rimsha Wassan, a 13-year-old girl was first picked and then her life was taken by Zulfiqar Wassan, nephew of the Pakistan People’s Party (PPP) prominent leader Manzoor Wassan. Manzoor Wassan has served in the eminent position for the party. He served as the Minister for Home Affairs of the province of Sindh and was later disqualified by The Supreme Court. This society never fails to disappoint! The young girl was caged and ill-treated at Zulfiqar Wassan’s place but he was forced to let her go by Nawab Wassan. 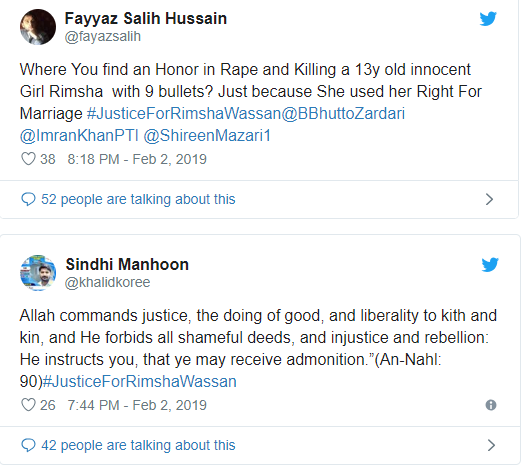 After releasing her the Wassan family got cautious and suspected that Rimsha might become a threat to their family’s name and any legal action against them can spoil their honor and heritage.. Just look at the audacity, the power they have over common people. Human lives hold no value and their worth further decreases if your gender is a female. The deceased’s mother then approached the local police officers but when you belong a poor and less influential family your problems become irrelevant and never hit the priority list. As expected the police did not cooperate. One reason to ignore this case could possibly be the political association Zulfiqar holds, and also to protect his name and family. SSP Tufail has labeled the case as one of ‘honor’ without any justification. But we care! Let’s play our part and raise voice for what’s right! I mean, how convenient?! Although the posts also informed that Zulfiqar has a criminal record and already has 20 cases to his name. They alleged that the culprits are being protected and the cold incident is being masked as a case of honor to save Zulfiqar and image of Wassan family. Being poor can be such a curse, you lose your loved one and no one cares. 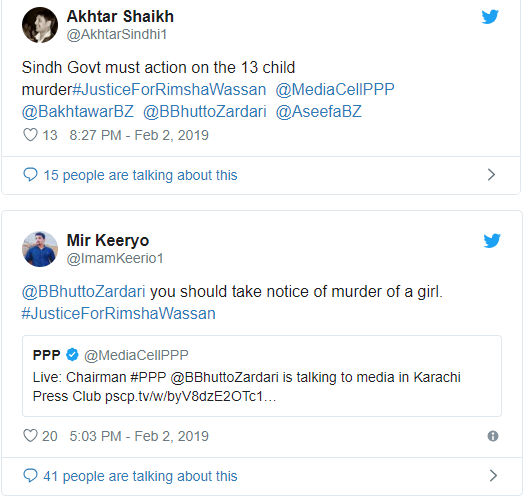 This isn’t true though, the social media plays a vital role in demanding justice for Rimsha and pushing the Sindh Government to take action. Twitter and Facebook news feed is heavily exploding by this act of injustice. We all must gather together, stand by the helpless family and make sure that the known culprit pays for what he thought he could escape easily. They have been arrested but what matters more is that they get punished severely so that the next time no one even tries to attempt such a filthy act. Its high time that these cultural barriers and the vicious cycle of power are broken. Every girl and every life is precious.